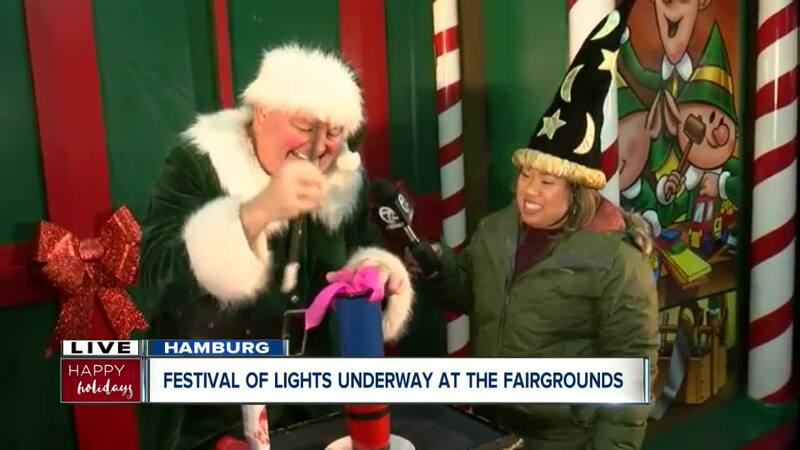 At the Festival of Lights at the Hamburg Fairgrounds, you can do a lot indoors, outdoors and enjoy some holiday magic too! Thousands of twinkling lights, scattered indoors and outdoors between snacks, elves and Santa Claus for you to enjoy! Fill you car with as many people as you can fit and you can explore the Festival of Lights for just $25 per car. That one-admission price gets you a drive through an LED light display and a stop at the Christmas village, featuring mazes, photos with Santa, games, a stroll through the Christmas Tree Forest and free entertainment! New this year is a "find it" game, where you spot the difference in different holiday displays. You'll also be tempted by the scent of the newest snack, cinnamon sugar donuts freshly fried at the Elf on the Shelf Donut Shoppe. The Festival of Lights runs December 7-9th, 14th-16th and 19-23rd from 5 p.m. until 9 p.m. The grounds and the buildings are open until 10 p.m. 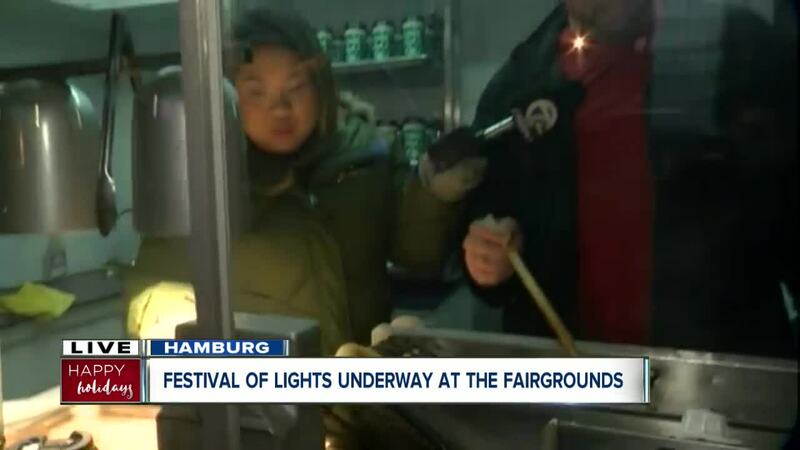 It's located on the Hamburg Fairgrounds.